United Russia candidates won most of Sunday's municipal polls, and opposition politicians had to admit there were very few voting irregularities. 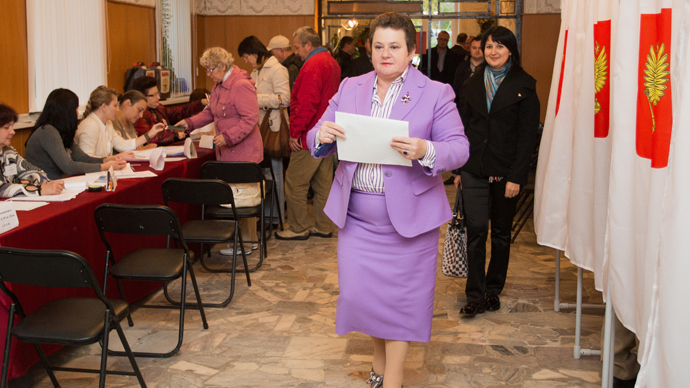 Sunday's nationwide election day was the first for Russia. Governors were elected by a direct vote in eight regions, and two internal republics – Dagestan and Ingushetia – held parliamentary vote on the issue. Sixteen regions elected members of legislatives assemblies. Russian media fixed their attention on the mayoral poll in the capital. The preliminary result shows incumbent acting Mayor Sergey Sobyanin won the elections in the first round – he received slightly over 51 percent of the votes. The runner up – opposition blogger Aleksey Navalny refuses to recognize the results and is calling for a recount; threatening that his supporters would take to the streets. 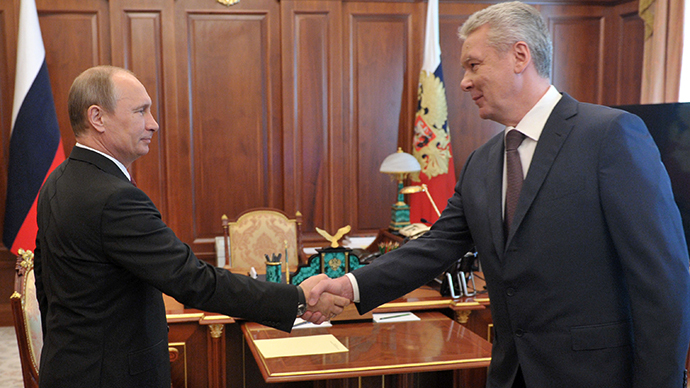 Although Sobyanin ran as an independent in the mayoral poll United Russia can still credit itself for the victory – Sobyanin is a prominent and longtime member of the party and a close ally of United Russia leader PM Dmitry Medvedev. Deputy head of the party’s General Council, Sergey Zheleznyak, told reporters on Monday that the incumbent’s victory could be explained by his professionalism and unique experience. Zheleznyak also praised the honesty of the poll, recalling Sobyanin’s request for United Russia deputies to submit signatures in support of his rivals, simply to make the procedure more competitive. Another apparent victory of the parliamentary majority is that the poll has been recognized as valid and fair both by officials and public activists. 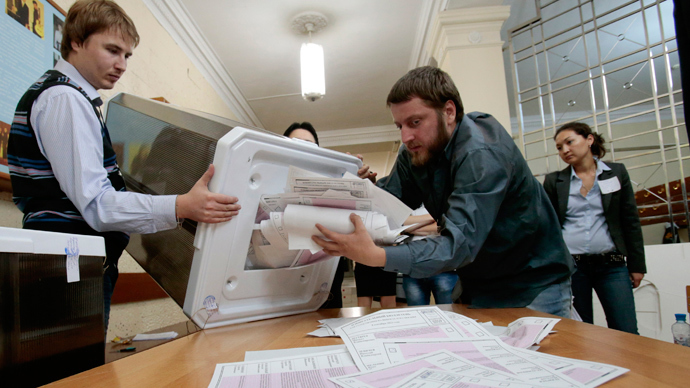 The head of the Public Election Monitoring HQ, veteran liberal journalist Aleksey Venediktov announced that the results of manual ballot counts matched the data of the automated ballot processing “to a single vote”. United Russia also secured victory in the overwhelming majority of the other regions that held gubernatorial elections. The second most populated of the federation districts – the Moscow Region (the area around the Moscow that excludes the city itself and a large sector of the prospective development area dubbed the New Moscow) elected incumbent acting governor Andrey Vorobyov who also is a long-time United Russia activist. 73% of voters supported Vorobyov, with closest rivals running from the Communists and liberal party Yabloko getting 10.6% and 5.6% of votes respectively. Both runners-up have already recognized that the elections were fair, despite several recorded violations, such as a minor brawl at one of the polling stations and publishing exit poll results on the internet before the voting was over. United Russia also ranked highly in other federation subjects. 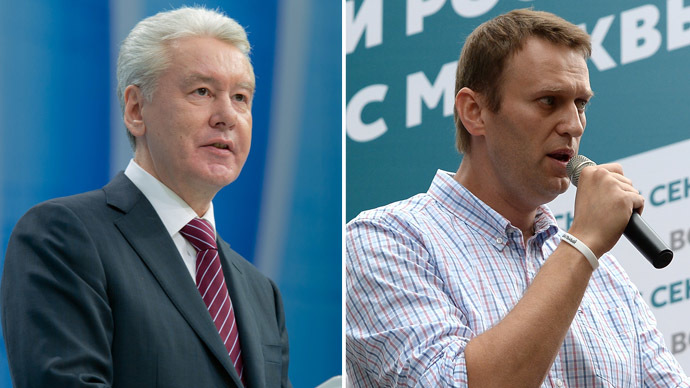 The party candidates, many of whom, like Sobyanin and Vorobyov, were incumbent acting heads of their regions won by huge margins in Chukotka, Magadan Region, Khakassia, Vladimir Region and others. Voters in the flood-stricken Khabarovsk Region in the Far East also gave their support to United Russia member and incumbent acting governor. The legislative assembly of the North Caucasus Republic of Ingushetia voted for United Russia member Yunus-Bek Yevkurov and Dagestan parliamentarians elected United Russia member Ramazan Abdulatipov, though these votes were not proper elections but demonstration of confidence in the candidates appointed by the Federal authorities. Only one region – the Far Eastern Trans-Baikal - voted for Fair Russia candidate Konstantin Iliyinsky, who also was the incumbent acting governor. United Russia dominated at the parliamentary polls that were held in 16 regions, followed by the Communist Party and the nationalist populists LDPR. The secretary of the party’s General Council, Sergey Neverov, told reporters on Monday that United Russia would form a parliamentary majority in all 16 legislatures adding that its candidates managed to secure 636 seats of the total of 820. Neverov also emphasized the intense competition and exceptional fairness of the regional parliamentary elections, saying that the victory was because of lessons learned from previous polls where the party’s results were more modest. In addition, eight Russian cities held mayoral elections on national election day (Moscow is not included as it is considered a separate Federation subject). United Russia also ranked first in most polls with one significant exception – early results indicate that the Urals industrial center of Yekaterinburg elected Yevgeniy Roizman as its new city head. Roizman is an extremely controversial figure, most known for creating and running a network of makeshift drug rehabs, employees of which had been tried and convicted of kidnapping and illegal imprisonment. The politician has also described his fight against drug dealers in a colorful and popular blog, gaining notoriety not only in his home city but also across the country. 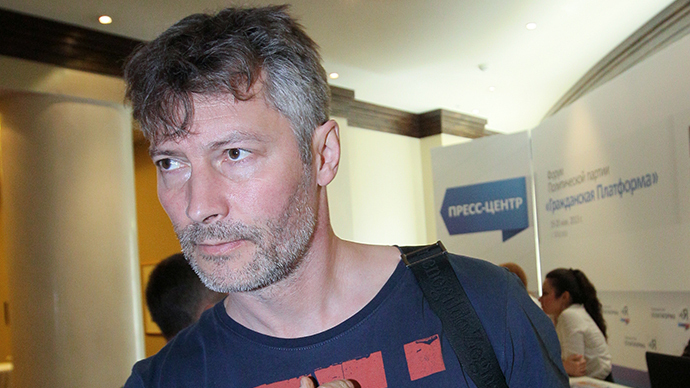 The popularity, in turn, has brought Roizman to the attention of billionaire politician Mikhail Prokhorov who suggested he run for mayor on the ticket of the Civil Platform party. On Monday the city elections commission reported that Roizman got over 33 percent of the votes and his closest competitor – United Russia candidate Yakov Silin got slightly under 30 percent. The governor of the Yekaterinburg Region, United Russia member Yevgeniy Kuivashev has already announced that he was ready to work with any mayor as the will of the voters was the important factor in his policies.